I don’t sleep too well at hotels. Supima cotton sheets and a throne of pillows are great, but if I don’t have my Dyson fan humming along across the room, I know it’s going to be a long, sweaty night. You’re probably familiar with the British brand’s air-multiplying fans. They have zero blades, oscillate like champs, and look all sorts of handsome. I’ve had one in my bedroom for years now, pointed at me as I sleep. It cools my forehead without being overbearing (you can adjust the airflow on the machine or with a remote), and makes a gentle whirring noise that works as well as any white noise machine I’ve encountered. 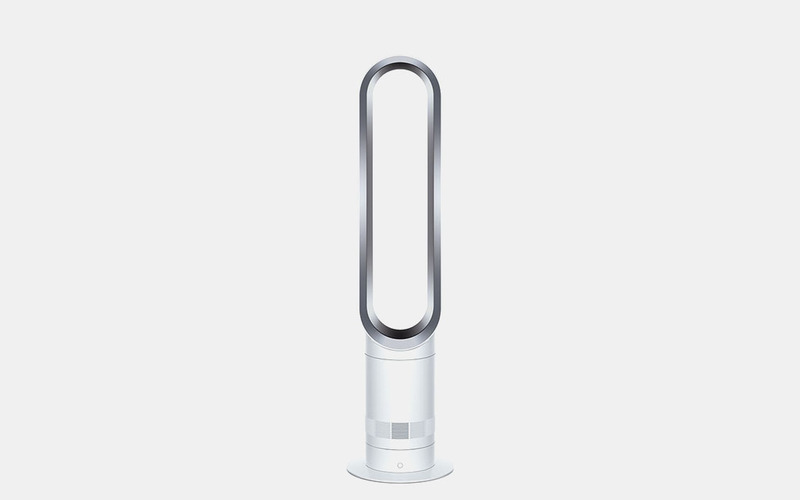 Some good news for anyone looking to get in on the action, Dyson is currently selling the AM07 Mini Bladeless Tower Fan for $200 — a full $200 off its usual retail price of $400. Quick note: Dyson maintains an eBay account to sell overstocked, discounted or refurbished items. But don’t worry, the “defections” are cosmetic (a scratch here or there), and not mechanic. I bought a V7 Motorhead vacuum through the account a couple months back and haven’t had a single complaint. Pick the Tower Fan up for better sleep, or as a living room fan to give your central air an assist once it starts getting super hot. You can’t go wrong either way.